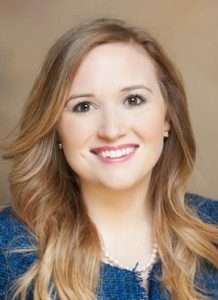 Constance A. Harris joined Greensboro Law Center, as an attorney in the Fall of 2013, having previously worked for the firm throughout law school. Constance has the unique ability to empathize with injured clients. In fact, her injury is what inspired her to pursue a career as an attorney. During her senior year of high school at Southeast Guilford, Constance was involved in a catastrophic cheerleading injury in which she sustained debilitating injuries to her knee requiring her to undergo two major reconstructive knee surgeries. Two years later, Constance was involved in a serious car wreck that required her to undergo eight more knee surgeries. As a result, Constance has faced overwhelming adversity in trying to recover while at the same time battling the defendant’s insurance company for delayed payments of medical bills. Constance also understands the extraordinary personal crisis that divorce brings to spouses, children and extended family members. Constance has always had a passion for family. During law school, Constance worked as a research assistant for a professor who specialized in family law. Constance’s academic, personal and professional experiences have solidified her commitment in family law and, in particular, to the vital mission of ascertaining the child’s best interests in custody disputes. Constance was born and raised in Greensboro, North Carolina. She graduated with a Bachelor of Arts degree in history from the University of North Carolina at Wilmington in 2009. Constance went on to earn her J.D. in 2013 from Elon University School of Law in Greensboro, North Carolina. While in law school, Constance served as the President of the Family Law Society. Constance is the Chair Elect for the Family Law Section of the Greensboro Bar Association. Constance also participates in local rules meetings, which help to improve the family law rules in the 18th District. Constance is married to Daniel Harris, who is also a practicing attorney in Greensboro. Constance and Daniel are the proud parents of two boys. When Constance is not practicing law, she enjoys spending time with her family, cooking and traveling. Constance is involved in the Greensboro community through her volunteer activities with her church and the Junior League of Greensboro.